Dr. W.G. 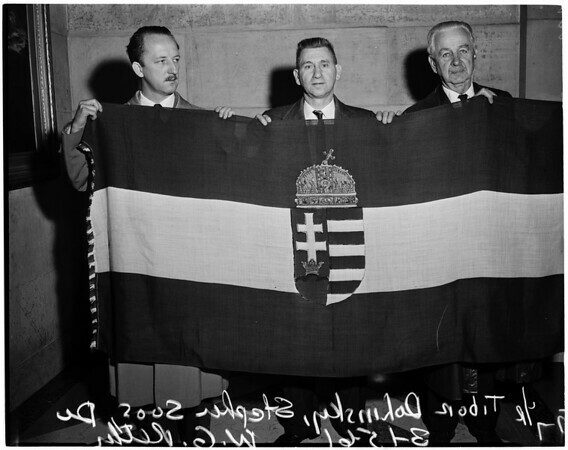 Rethy, vice president, holding flag of Old Hungary. Coat of arms design in 1000 years old. Flag colors from top: red, white, green".